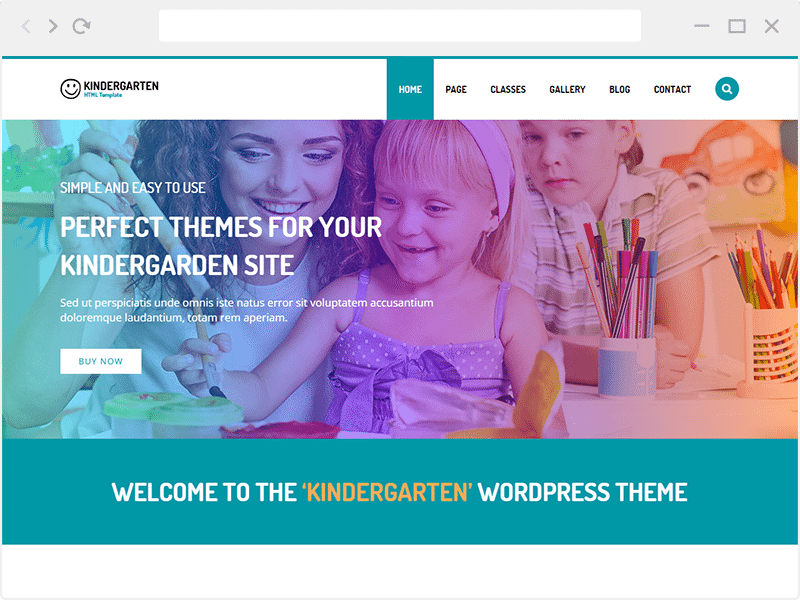 Kindergarten WordPress theme created for professional child care centers,preschool and kindergartens. This theme has beautiful designed, responsive, elegant, clear, and easy to read. So it will help your readers to get complete information from your site. If you face problems with this template just contact us via support tab. Teacher post type allows you to make a Team member with description about him/her, link to their social media and also their job. Allow you to make a Class Post. You can add or make a page with full page builder block with this template. Class template will show all of your class post. 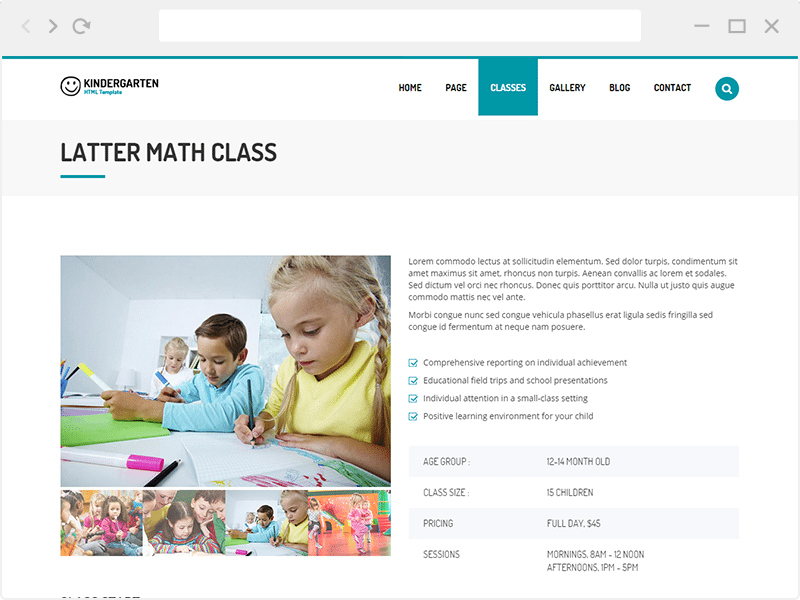 Gallery page template have kindergarten gallery image meta box. Teacher template will show your teacher post type as a tab.